Get the snowmobile insurance you need with ease, on Main street. Do I Really Need to Purchase Coverage? 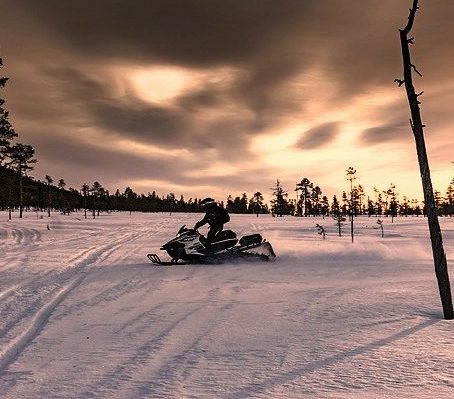 Snowmobiles are primarily used on off-road terrain, over frozen bodies of water and alongside roads. But all that fun can come with risks that you may need to protect yourself against with a quality snowmobile insurance policy. Damage to your machine, injury or damage to someone else, theft and other forms of loss or damage can quickly turn a winter wonderland into a nightmare. With the proper protection from agents who know the trails of NH as well as you do, you’ll be back on that sled in no time. Before winter gets into full swing, contact Noyes Insurance at 603-536-1735 or complete the request a quote form on this page for a no-obligation quote. We’re here to help you get the snowmobile insurance you need to ensure years of snowmobiling pleasure in the future. Bodily Injury and Property Damage Liability (BI/PD): Covers liability for an accident involving injury to other people or property, up to your liability limits. If your limits are 100/300/100, no more than $100,000 would be paid per person for bodily injury, no more than $300,000 would be paid per accident for bodily injury and no more than $100,000 would be paid per accident for property damage. Comprehensive and Collision Coverage: Policy pays to replace or repair your snowmobile if it is stolen or damaged, regardless of who is at fault. You select and pay a deductible and then the insurance carrier pays the remainder. Collision coverage applies if you hit a nonliving object or other vehicle. This coverage also pays for damages caused by events other than collisions, such as fires, theft or vandalism. Uninsured/Underinsured Motorist: If you get into an accident with someone who is uninsured or underinsured and you were not the at-fault party, the policy will pay for your medical treatment. Roadside Assistance: Policy covers the labor needed for repairs and towing to the nearest repair facility if your snowmobile is disabled. Accessory Covered: Policy covers items that were not originally manufactured on the vehicle, altering the appearance or performance of the snowmobile. This may include trailers, custom modifications, seats/backrests, exhausts, etc. Disclaimer: This brochure is provided for informational purposes only. The information provided herein is not intended to be exhaustive, nor should it be construed as advice regarding coverage. Eligibility for coverage is not guaranteed and all coverages are limited to the terms and conditions contained in the applicable policy. © 2008, 2010, 2013, 2016 Zywave, Inc. All rights reserved.